Electrical power generation is an essential service industry spanning the globe that delivers affordable electricity to homes, offices, public transportation, etc. With the global demand for electrical power projected to double by 2030, and demand currently growing at a rate of 2.6 percent each year, improving efficiency in power consumption and production continues to grow in importance. 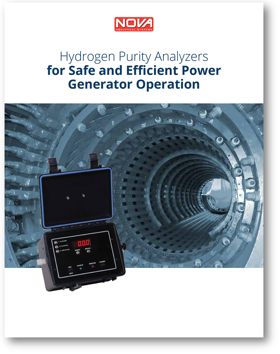 Download your Hydrogen Purity Analyzers eBook by filling out the form to the right.